Nokor: Breaking News: North Korea bombs South for the second time. Is war closer? | PinOy SPY! Nokor: Breaking News: North Korea bombs South for the second time. Is war closer? North Korea has launched a second artillery attack on South Korea, according to the Associated Press, occurring hours after North Korea threatened war if the US and South Korea continue as planned . . .
Read more…. Breaking News: North Korea bombs South for the second time. Is war closer? 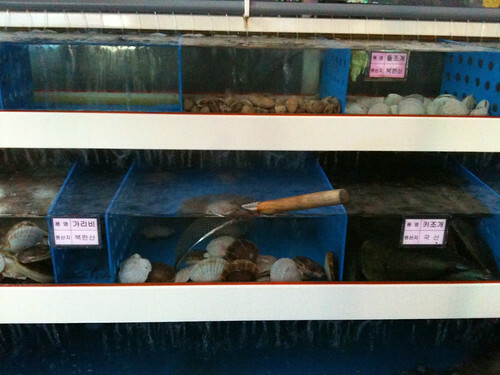 North Korean clams being sold in a South Korean restaurant.